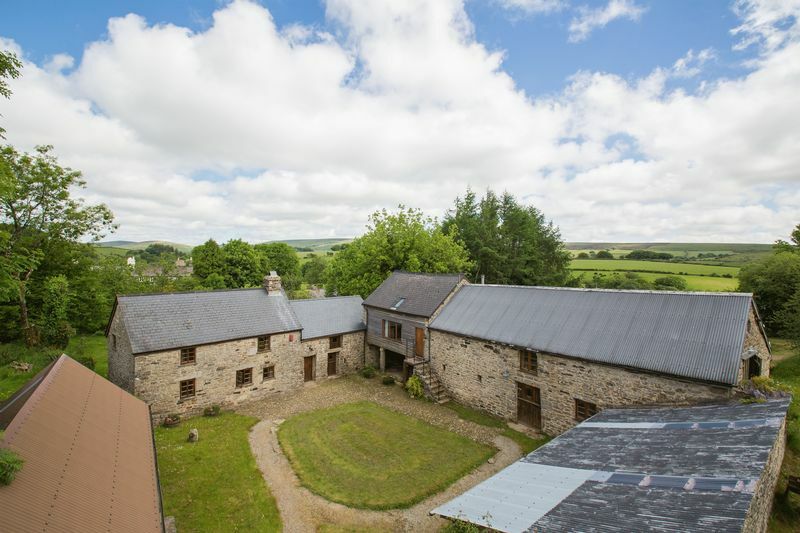 Longhouse Farm is listed Grade II and has been the subject of extensive renovations and improvements which have retained much character, whilst ensuring that the farmhouse and holiday let are fit for 21st Century living. They are set on a charming grassed and cobbled courtyard of granite buildings which comprise a granite barn, garage and stable as well. 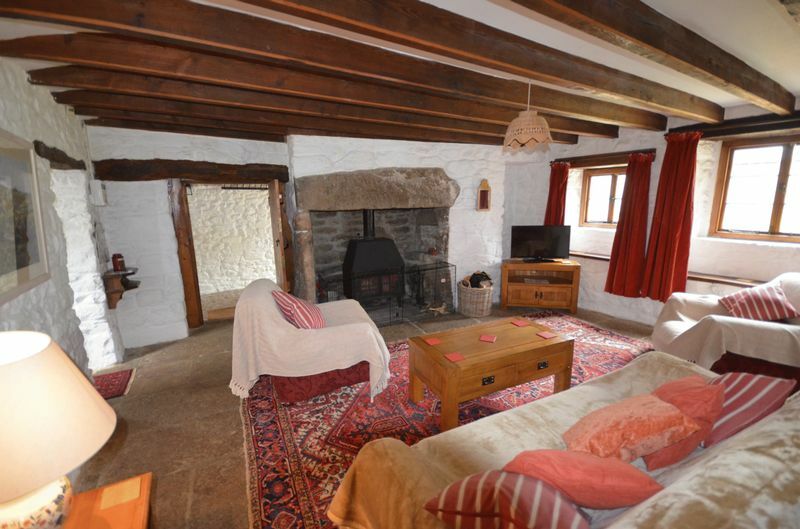 The farmhouse has a cross passage hall leading through to the back garden, a sitting room with a granite fireplace and woodburner, a kitchen with a solid fuel range and a dining room on the ground floor. 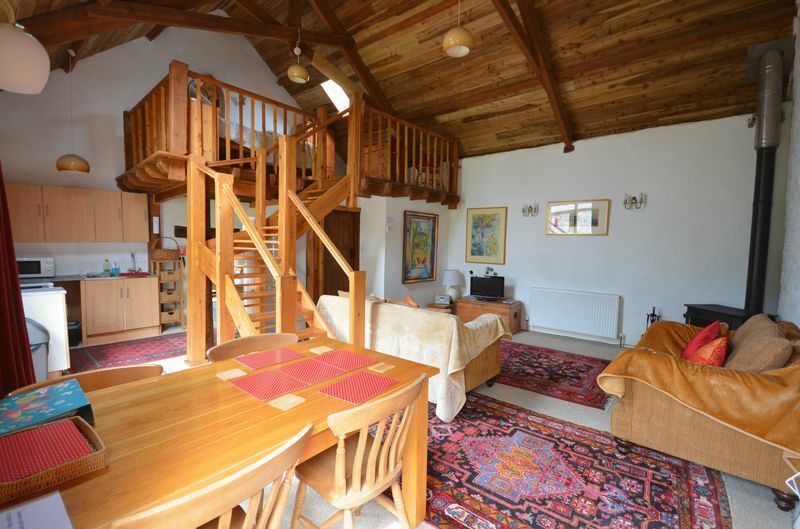 Upstairs there are three double bedrooms, a bathroom and a landing. The holiday let is at first floor level reached by granite steps and it has a high ceiling in the large single room, a bathroom and a mezzanine sleeping platform. 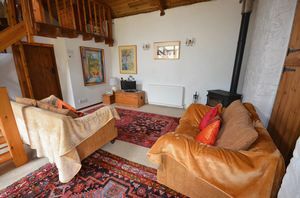 It has oil fired central heating and overlooks the courtyard. 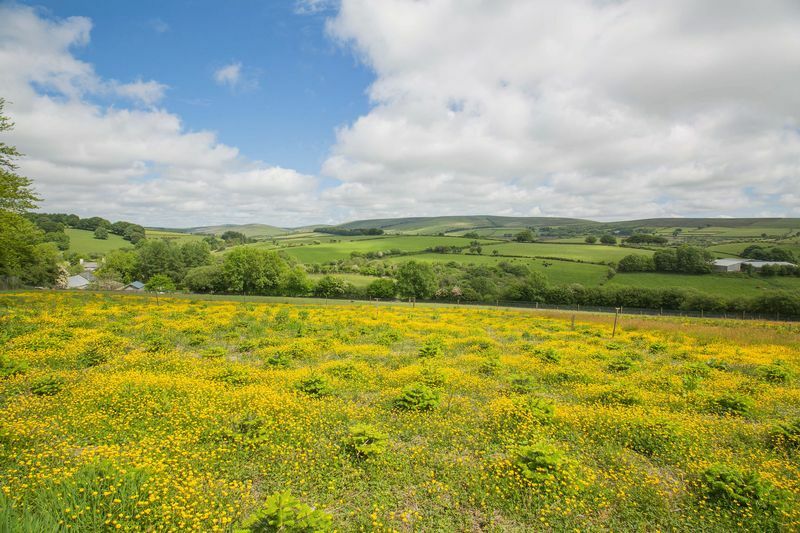 Attached to the farmhouse is a large shippen with planning permission to convert to a new kitchen/dining room. 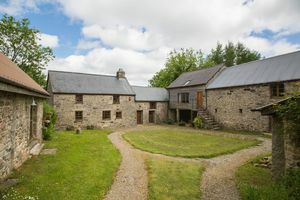 A large barn, which may have potential subject to planning for a further letting property, also fronts the courtyard as does the two bay granite stable and an open fronted granite garage with store. 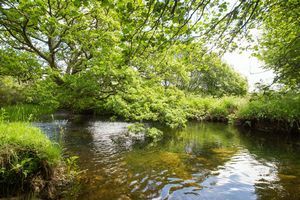 The property also has a large steel framed agricultural building and a wooden studio, plenty of parking and approximately 12 acres of pasture which includes a young Christmas tree plantation and a delightful riverside section. 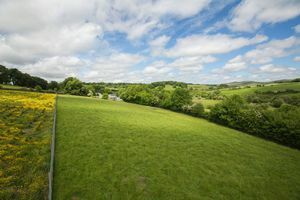 Fowlers very strongly recommend viewing to appreciate this property, but viewings must be on a Saturday changeover day and completion cannot be until the end of the holiday season in October. Lower Cator is a tiny settlement surrounded by the moor and in the parish of Widecombe in the Moor. 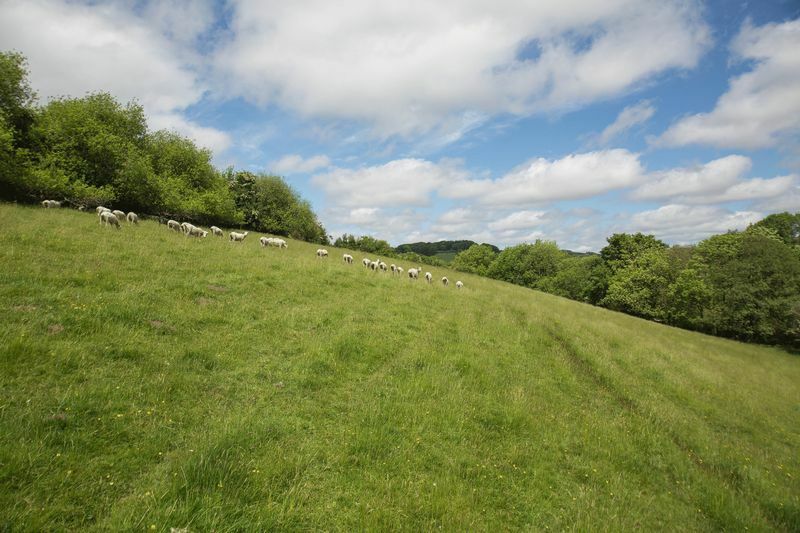 It is peaceful and surrounded by beautiful countryside yet is only about 15 minutes to the ancient stannary town of Ashburton and 35 minutes to the county town of Exeter. 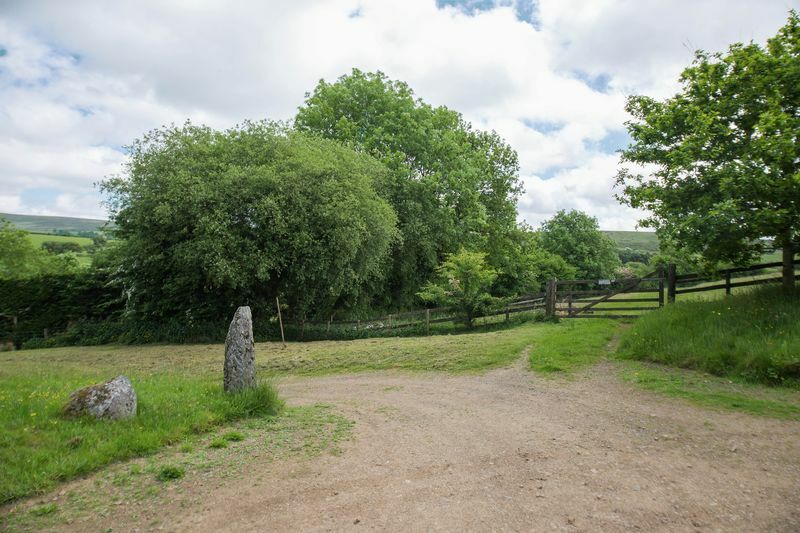 Widecombe has a primary school and pre school, parish church, pubs and cafes and a shop. Senior schooling is in Ashburton and there is a school bus service. 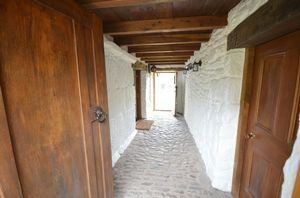 A wonderful atmospheric entrance hallway with a cobbled floor and painted granite walls, exposed structural timbers and two wall light points. 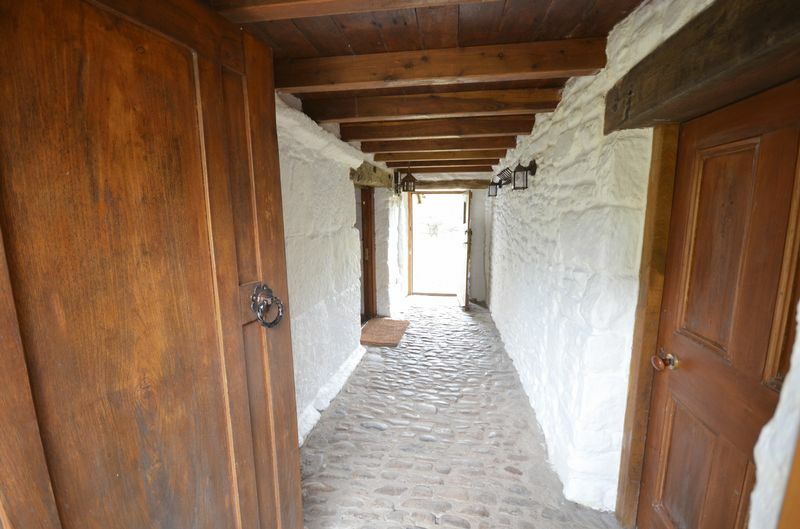 To the front is a solid oak door and to the rear a part glazed stable door which leads to the back garden. From the cross passage a panelled door leads into the shippen, which has planning permission for a new kitchen/dining room, and a further broad latched door leads into the sitting room. With white painted stone walls and a granite flag floor, this room has enormous character with its largest single feature being the big granite fireplace which has a stone hearth, a large woodburning stove and a heavy granite bressemer beam. 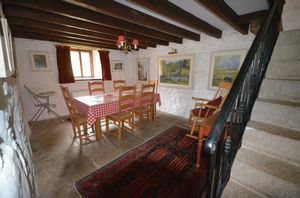 To one side is a former bread oven and there are two oak windows looking out to the courtyard each of which has a window seat. A T.V. point is fitted, a night storage heater and plenty of power points. Opposite the fireplace is a recessed display niche with an oak lintel, the ceiling has exposed structural timbers and a panelled oak door leads through to the dining room and a further opening to the kitchen. The kitchen is accessed directly from the sitting room and it has white painted granite walls, two oak side windows, a Velux skylight and a dressed granite floor. It has a fitted solid fuel Rayburn, a range of basic cabinets with oak doors and a mixture of Corian and hardwood work surfaces. 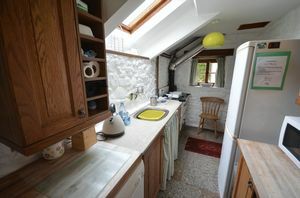 There is a single drainer bowl, plumbing for an automatic washing machine and space for an electric cooker and freezer. 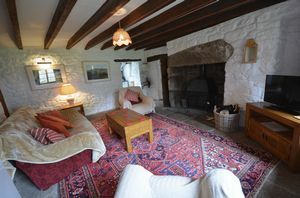 This room also has a granite flagstone floor and white painted granite walls, exposed structural timbers and a display niche with a lintel above. There is a fitted wall light point, a night storage heater and a window looking out to the courtyard. The stairs to the first floor are carved granite with metal handrails and balusters and there is an understairs storage cupboard. The landing has an oak west facing window with a deep oak sill and white painted walls. A steel balustrade runs alongside the stairwell and there are panelled doors to all rooms, a pine floor and a wall light point. This is floored in pine and has a low level w.c., a pedestal wash hand basin and a pressed steel bath with shower/mixer taps and a panelled side. The bath splashbacks are tiled and above the sink is a deep granite window sill with an oak window which looks out to the garden. A night storage heater is fitted. 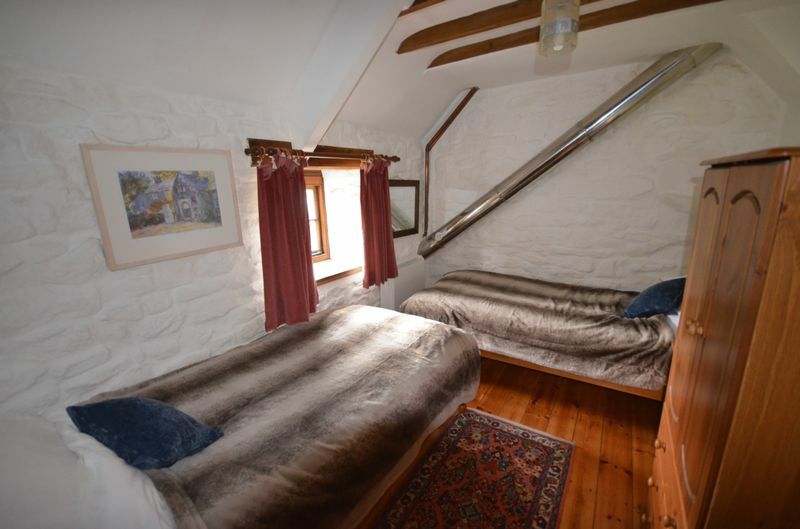 This double room looks out over the courtyard and has an oak window and sill, two exposed granite walls, exposed structural timbers, a night storage heater, a wall light point and a built in double closet. A twin or double room with a wall light point, two white painted granite walls, a night storage heater, a pine floor and an oak window with a deep oak sill and a view over the rear garden. This is pine floored and has a single built in closet, an oak window and a deep sill, a view over the courtyard, a night storage heater and exposed structural timbers. 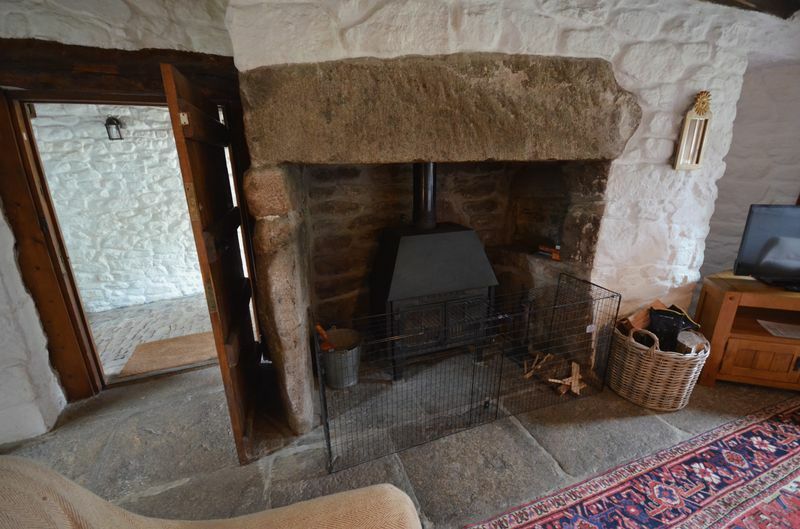 This ancient shippen is granite built with a matching floor. The roof has been replaced and insulated and it has planning permission to convert to a brand new kitchen/dining room for the farmhouse. It has a stable door from the yard and a panelled door from the cross passage and a window set high in the gable end wall. Electric lighting is laid on at the moment and a ladder leads up to a first floor gallery which is set above the cross passage and which measures 17' 8 x 6' 10. 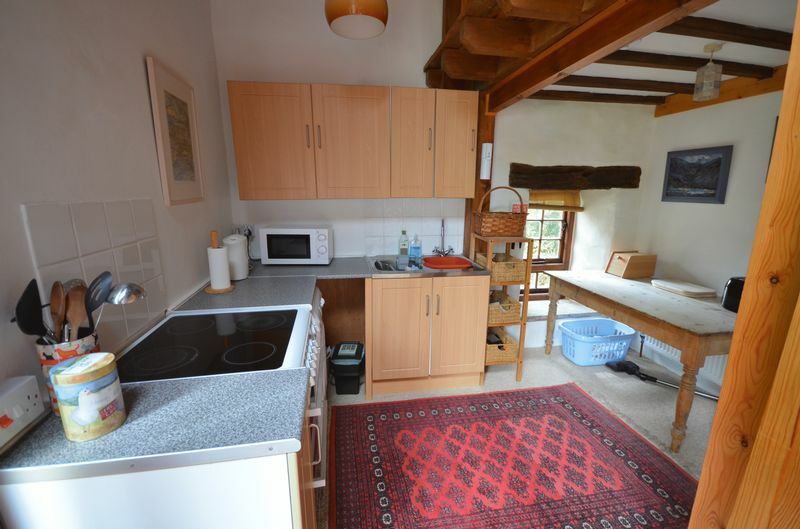 The holiday letting unit is set at first floor level and is reached by granite steps with a metal handrail. 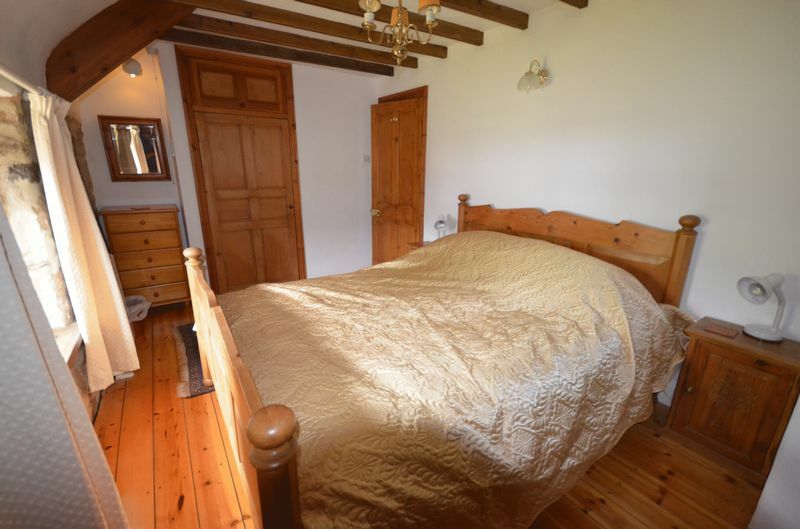 A varnished timber front door leads into the spacious principal room. This lovely room has a high timber clad ceiling beneath the pitched roof which has exposed roof trusses and two skylights in addition to the large double glazed window which overlooks the courtyard. In one corner of the room is a slate hearth and a large woodburner with a lined flue. There are three wall light points, a T.V. point, ample power points and two large double panel radiators. The staircase which rises to the sleeping platform separates the sitting and dining areas from the kitchen area. A latched door leads to the bathroom. The kitchen area has a range of base and wall cabinets with stone effect roll top work surfaces, a double bowl stainless steel sink with mixer taps and tiled splashbacks. 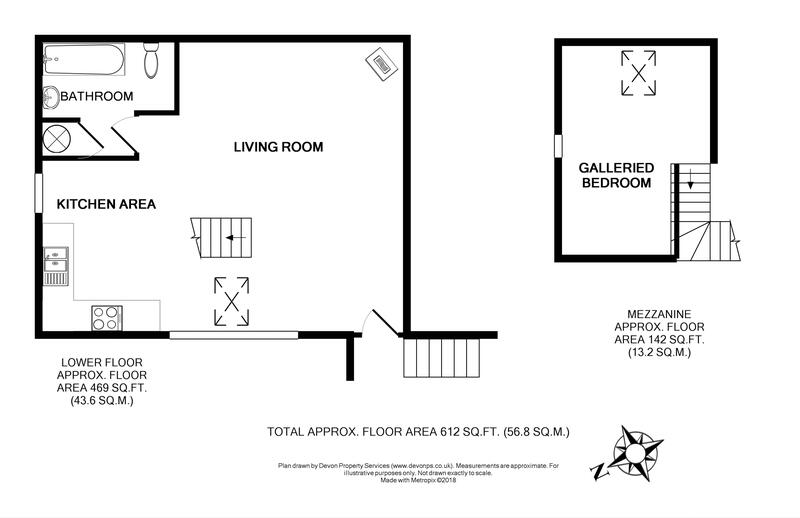 There is space for an electric cooker and automatic washing machine and a fridge/freezer. There is a single panel radiator and a multi paned window looking out to the rear of the property. Fitted with a white pressed steel bath with shower/mixer taps and a white side panel and tiled splashbacks. There is a low level w.c. and a pedestal wash hand basin, an extractor fan, a central ceiling light point and a single panel radiator. A hot water cupboard is built with an insulated cylinder and immersion heater. Enclosed on two sides by a balustrade and with a pine floor, a pine clad ceiling and one wall light point. 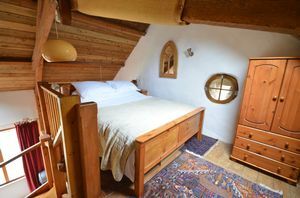 This charming sleeping area overlooks the living room and has a unique oak porthole window and a skylight. Set in front of the Farmhouse and Swallows Nest Cottage and surrounded by the stable, garage and barn, this courtyard is an attractive space part laid to grass, part cobbled and part gravelled. 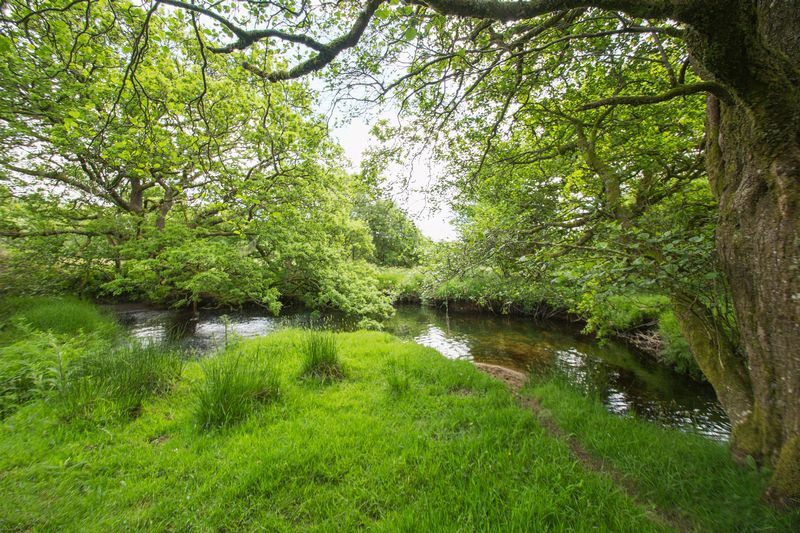 It is a very pleasant setting for the property and it faces virtually due south. This barn has potential, subject to planning permission, for further letting accommodation. At ground floor level the barn divides into two segments, one larger than the other. It has earth and concrete floors, power and light and houses the water treatment plant for the property. 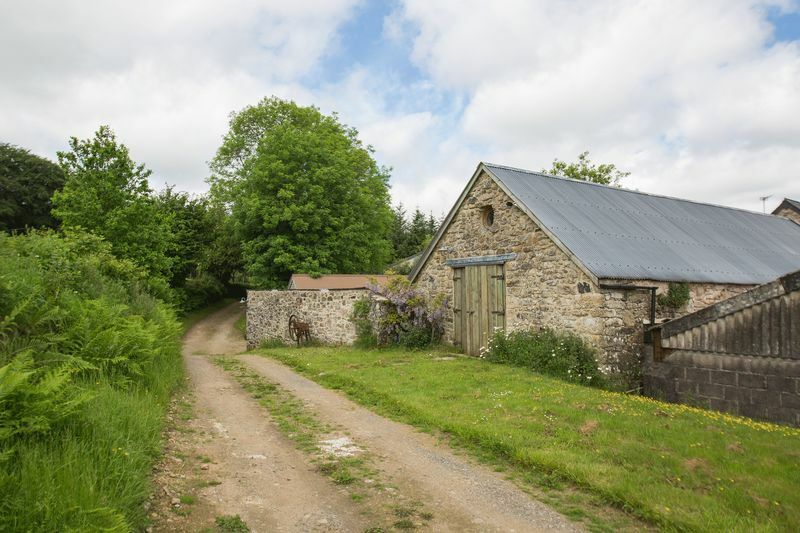 An opening in the wall leads through to the newer steel framed agricultural barn and at first floor level the property has a brand new floor. At first floor level the barn is currently used for general storage, and it has a porthole window, a double casement window and double doors from the upper level driveway to the side of the barn. 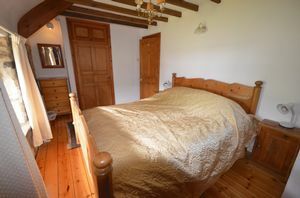 The floor is brand new, there is a double panel radiator and the oil fired central heating boiler is located in one corner. 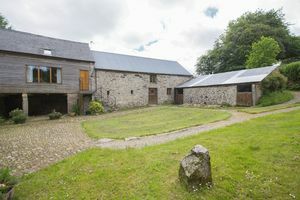 The stable is granite built with two loose boxes and cobbled floors, power and light and stable doors onto the courtyard. There is a metal corrugated roof with clear panels and the boxes measure 15' 5 x 13' 1 and 15' 1 x 12' 11. This is a granite built structure with access from the drive, open fronted with a corrugated metal roof and power and light. To the rear is a storage area. Set at the rear of the garage with double doors from the courtyard, a side window, a raised wooden floor and power and light. 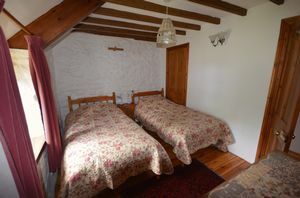 This is set beneath Swallows Nest Cottage, has an earth floor and has a lockable closet, plumbing, electricity and lighting. This large barn is not visible from the courtyard where the Farmhouse and holiday let are but it is an extremely useful space with an earth and concrete floor, power and light and double doors for vehicular access. 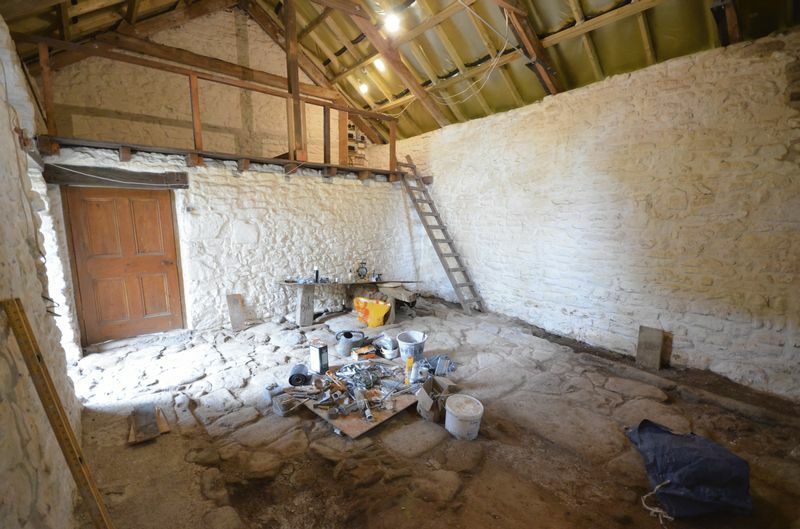 It houses the oil tank for the property and has an opening with access through to the granite barn. 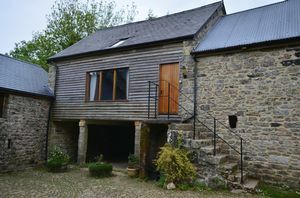 This artist studio has a wooden frame and timber cladding, two double glazed windows, a woodburning stove, water, electricity and drainage and mezzanine storage. 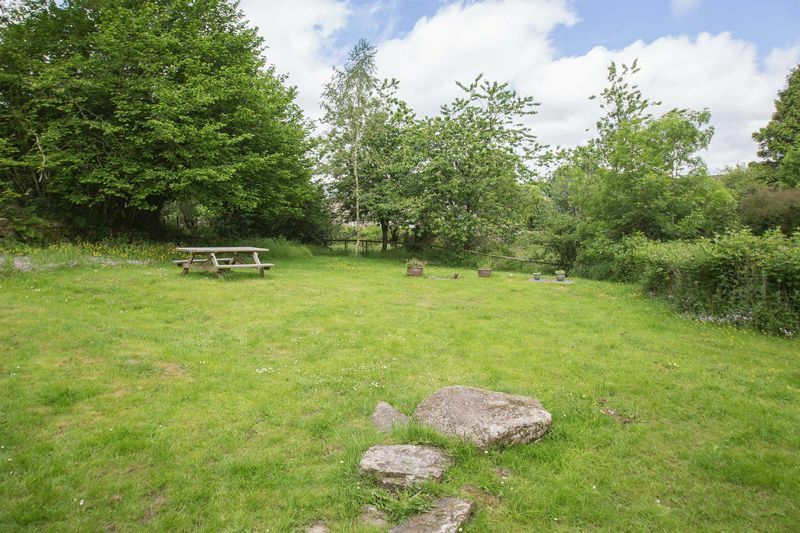 Just above and to one side of the courtyard is a large parking area from where there is gated access to the land. 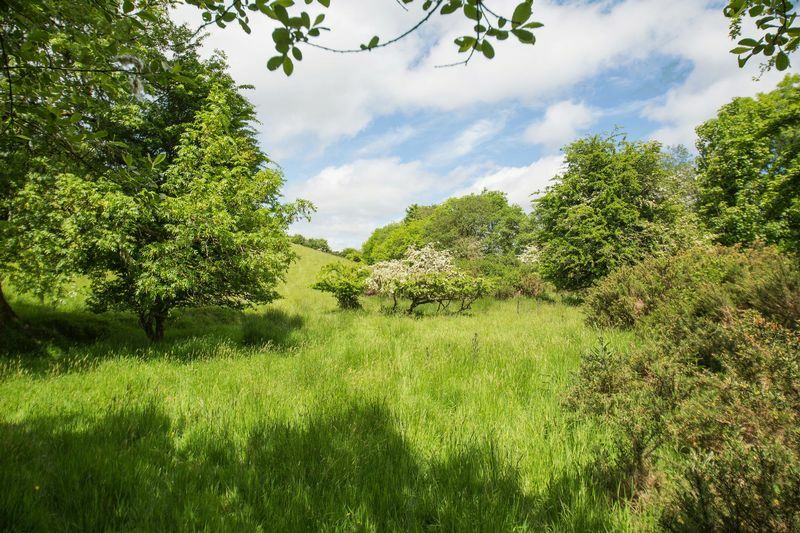 In all, the land extends to approximately 12 acres running alongside the hillside above the West Webburn river. 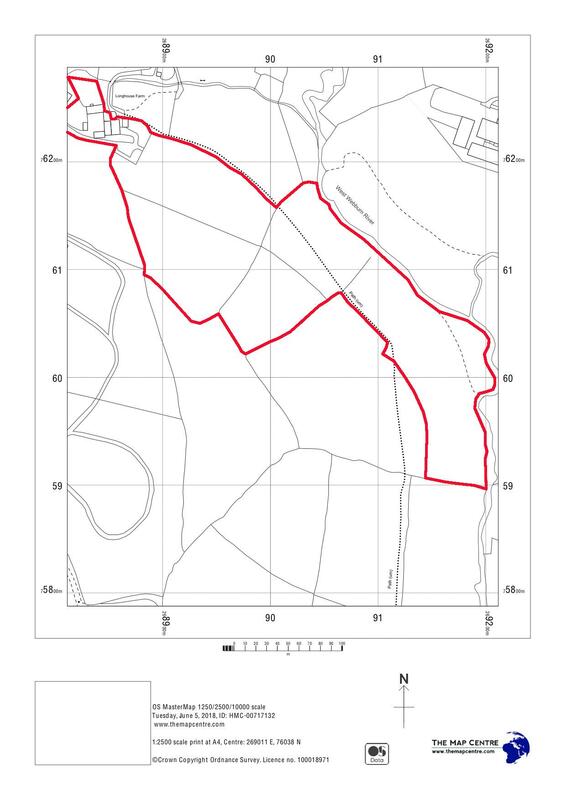 In the first of the fields there is a large deer-fenced Christmas tree plantation with some 2,000 trees comprising Frazer and Nordman trees. 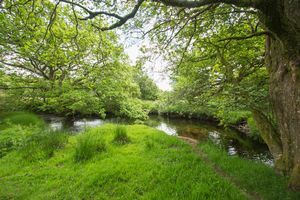 This in turn leads to two further fields whose lower boundary is the West Webburn river and at the far end of one of these is a level riverside area which has been used for many family parties. It should be noted that a footpath runs across two of the fields but that this does not interfere in any way with the Farmhouse, holiday let or courtyard. Private water, private drainage, mains electricity, oil by contract. From Widecombe head in a southerly direction passing the primary school on the right as you leave the village. Follow this lane for about 1.6 miles and on the right is a big rural T-junction signposted to Postbridge. Turn right at this junction and follow the lane up onto the moor for about 1.5 miles at which point on the left you will find a turning with a small rectangular grassed area. Take this lane and after about 3/4 mile at a tiny rural junction the road bears sharply right. Do not bear sharp, but take the lane immediately in front of you and this leads to Lower Cator. 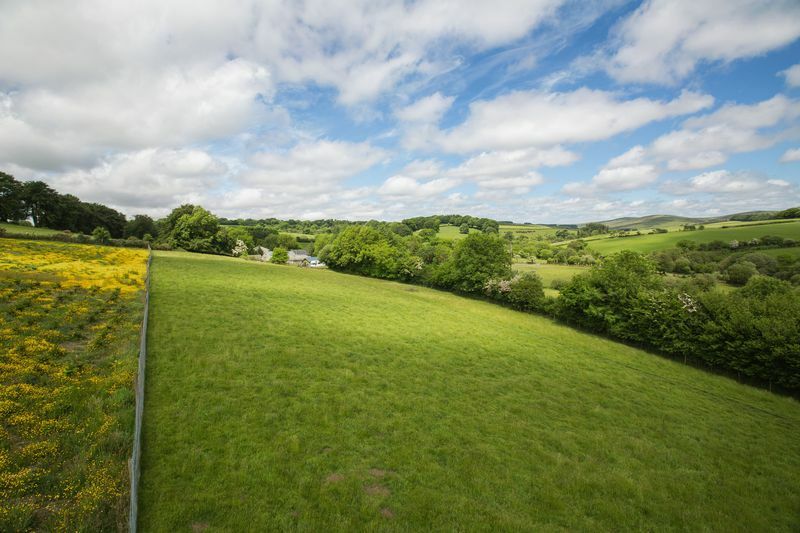 Pass the first few cottages and the gated drive to Longhouse Farm will be found on the left.